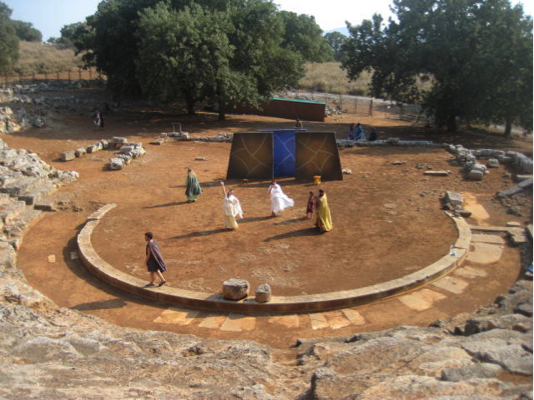 This inspiring program offers participants an opportunity to learn the Greek culture and language in its native environment, right in the midst of the township of Katohi, a rural farm community of Greece, and to experience preparing and performing a Greek tragedy in the ancient outdoor theatre of Oiniades. The KU Summer Theatre & Dance in Greece program is an eight-week course – two weeks in Lawrence and six weeks abroad in Katohi, Greece. Students who participate in the program take classes in Modern Greek Language, Greek Art and Architecture and Ancient Greek Dramatic Literature. The residency in Greece culminates in the production of a Greek tragedy performed in the Ancient Theatre of Oiniades, a 4th century B.C. open air theatre. The production is performed in both English and Greek. Our host village, Katohi, has provided accommodations for the KU program since 1990. It is a part of a larger group of villages that form the City of Iniades – an official Sister City of Lawrence since 2009. Katohi is located in the southwestern part of mainland Greece with access to a number of beaches. It is located near the Sacred City of Messolonghi, the birth place of modern Greek independence. 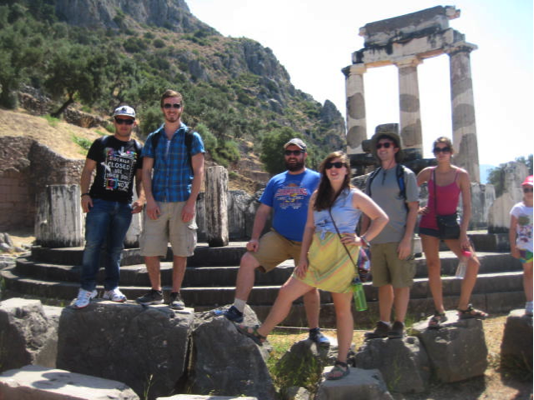 Students also have the opportunity to travel to Delphi, Corinth, Mycenae, Nafplio, Epidaurus, Cephalonia and Athens. Special emphasis is placed on the exploration and appreciation of ancient and historic sites. The Summer in Greece program operates every other year. The next trip is scheduled for June-July 2019. Contact Professor Dennis Christilles for more information. Details about the program can be found at KU Study Abroad.